Poem: "O Ancient of Days"
This past month, the Abbey of the Arts has been posting prompts for lectio divina (which I haven't done yet, hmm), photography, poetry and dance. I did the poetry one while on retreat. 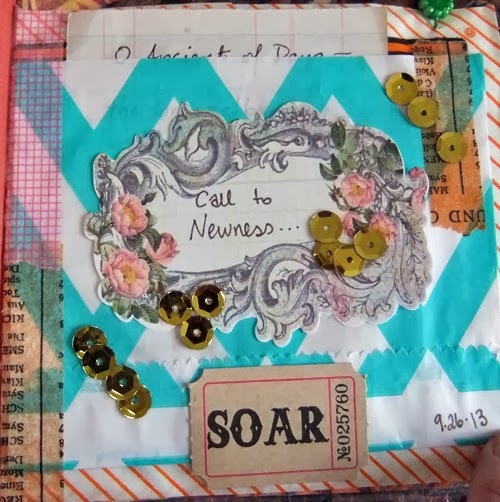 The prompt was basically: what ways am I being called to newness? what doorways are opening for me? I sat down and prayed the Jesus Prayer repeated for each wooden bead on the Anglican prayer beads that a monk made for me and went around three times. At each of the larger beads, I paused and asked myself the prompt. in the heart of Judaism. When I wrote this, I originally had "seeking" instead of "seeing" for both of them. When I copied it into my art journal, "seeking" became "seeing" for both lines, and then when I finally copied it into my spiritual journal, the above occurred. Seeing means that I have found that which I'm looking at. In my recent reading, I feel I've found Judaism in Jesus' heart. It's a fact! What that looks like for living into my faith is a whole 'nother ball of wax. "Seeking God" -- isn't that a life long goal? I've recently had the sense that I'll be able to understand God better if I understood Judaism better. That there's more outside the box I've made for God. Since EfM (Education for Ministry) I've realized that I've put God in a box, and that we all do it. I have this sense of knowing God is bigger than this box, but what that is, is a mystery beyond my comprehension. It doesn't stop the seeking though. Bonus: click through on this link to read other people's poetry responses to this prompt.